Josh Davis, lead floral designer at Botanicals, works his magic. If you're going to the trouble of sending flowers to your beloved, you'd be a fool to drop your hard-earned pesos on a boring old vase of roses with baby's breath. But it's not like you're a floral expert — how creative can you get when you barely know an orchid from an iris? 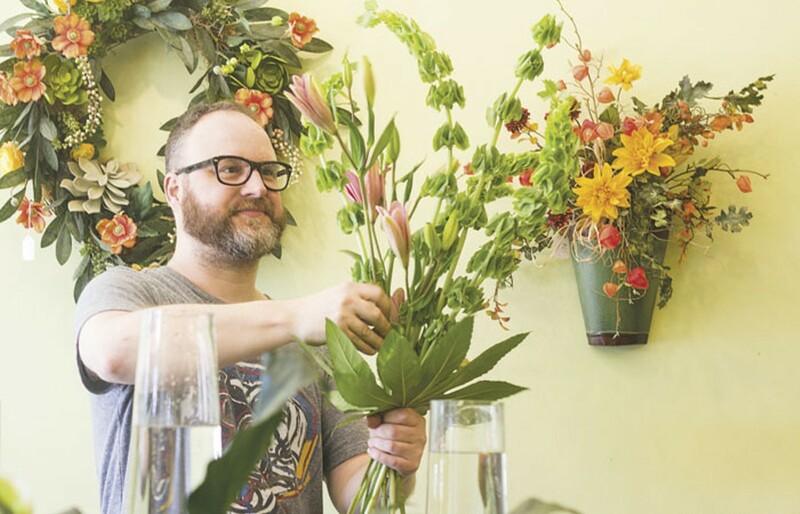 Enter Keith McDonnell and Dean Riebeling, the creative geniuses behind nine-year-old Botanicals Design Studio in the Tower Grove neighborhood. They'll draw out what you want — from a vague "something stylish and romantic" to a more specific color scheme/size/price point/occasion — and use it to craft a custom display that will strike you as exactly what you desire, even if you could have never figured it out for yourself. Best of all, they work quickly. We called one recent Saturday around 10 a.m., and by noon, the perfect arrangement for our friend's baby shower was ready for pickup. There's a reason Botanicals has thrived for almost a decade; these guys can turn any window-shopper into a devoted repeat customer. 3014 South Grand Avenue, St. Louis, 63118. 314-772-7674, www.botanicalsdesignstudio.com.